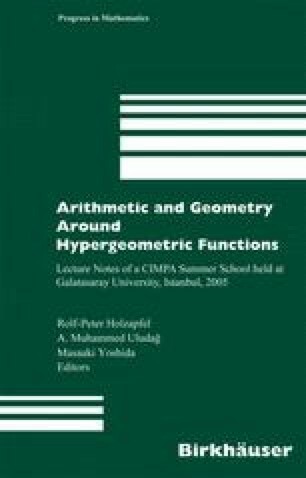 This text is based on lectures by the author in the Summer School Algebraic Geometry and Hypergeometric Functions in Istanbul in June 2005. It gives a review of some of the basic aspects of the theory of hypergeometric structures of Gelfand, Kapranov and Zelevinsky, including Differential Equations, Integrals and Series, with emphasis on the latter. The Secondary Fan is constructed and subsequently used to describe the ‘geography’ of the domains of convergence of the Γ-series. A solution to certain Resonance Problems is presented and applied in the context of Mirror Symmetry. Many examples and some exercises are given throughout the paper.